Movies about real-life acts of heroism tend to fall into a trap of self-seriousness, straining to emphasize how heroic and brave their characters were, without ever really letting us know who they were as people rather than symbols. Joseph Kosinski's Only the Brave is a welcome exception to that rule, taking the time to define its characters and let the audience really get to know them before sending them off to battle. "Battle," in this case, refers to fighting forest fires. The Granite Mountain Hotshots were an elite group of municipal firefighters in Arizona who suffered heavy casualties during the devastating Prescott Fire of 2013. 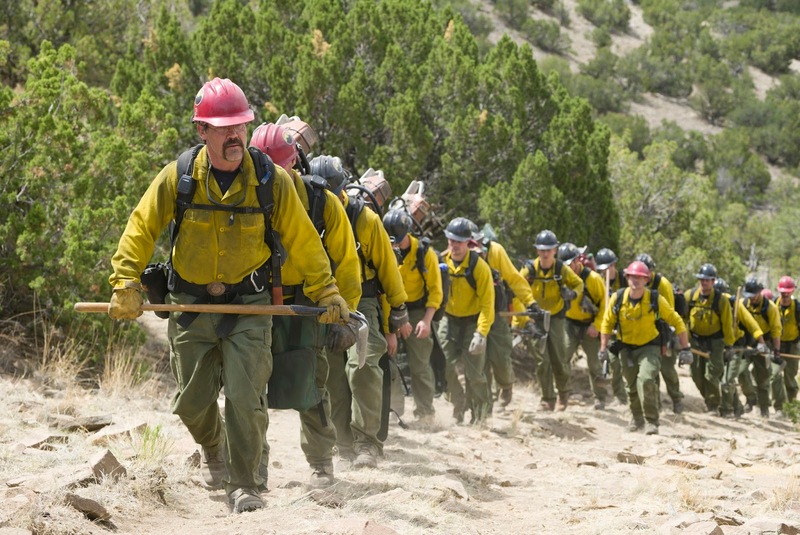 Only the Brave chronicles their heroic attempts to quell the blaze, as well as the personal struggles that drove each man to the sacrifices they ultimately made. Kosinski takes his time getting to know the characters, allowing them to live and breath as actual people. From the careworn, lived in performance by Josh Brolin as Superintendent Eric Marsh, to Miles Teller's impetuous rookie, Brendan McDonough, each character is given their moment to shine. Even Jennifer Connelly as Marsh's long-suffering wife, Amanda, is given more to do than just be the "concerned wife" character. These feel like real people with real hopes and dreams. Which of course they were, but for Only the Brave to treat them in such a way is something special indeed. It takes nearly two hours to get to the climactic fire. While the film could have stood to be around 20 minutes shorter, it's all in service of character development. It's hard to fault the film for its leisurely pace when it is all used to create such a positive impact on the story, because in the end it makes the tragic fire that much more harrowing. Under Kosinski's deliberate direction, Only the Brave reaches an emotional crescendo that not only feels earned, it feels cathartic. For nearly two and a half hours, we simply exist alongside these people, and by the end, they almost feel like old friends. It is the normalcy with which the film treats them that gives it such a powerful emotional center, giving us characters to root for who feel like they could be our friends, our neighbors, or even ourselves. We've seen countless stories like this before, from The Perfect Storm to Lone Survivor to Deepwater Horizon, true stories of real life tragedy that all follow very familiar formulas. 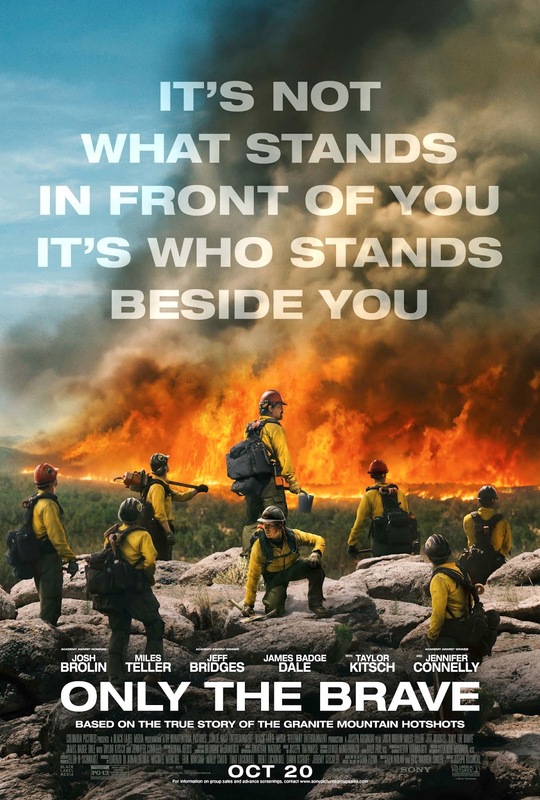 While Only the Brave follows a similar structure, Kosinski manages to work within the formula to create something with a little more emotional heft. It's a character-driven drama for adults that strikes familiar notes, but does so with a confidence in its actors and its audience that is both engaging and refreshing. Heroes come in all shapes and sizes, but in Only the Brave, they feel like real, flesh and blood human beings; just ordinary men trapped in extraordinary situations. ONLY THE BRAVE | Directed by Joseph Kosinski | Stars Josh Brolin, Miles Teller, Jeff Bridges, Jennifer Connelly, James Badge Dale, Taylor Kitsch, Andie MacDowell, Geoff Stults | Rated PG-13 for thematic content, some sexual references, language and drug material | Now playing in theaters everywhere.